So, is Glossier worth the hype? 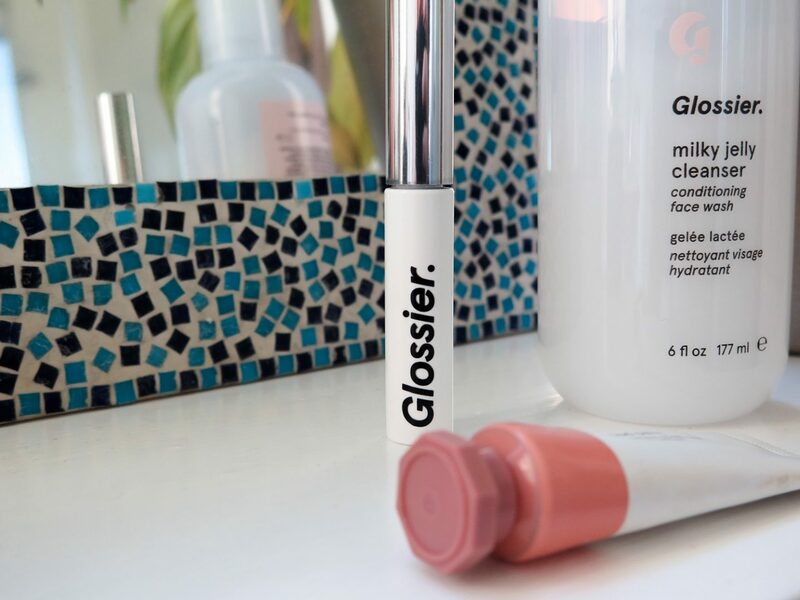 When Glossier launched four years ago, I was as smitten as the next blogger by the millennial packaging and simple but modern marketing – a cult following was soon established, and Instagram was full of the cute, kitsch products. 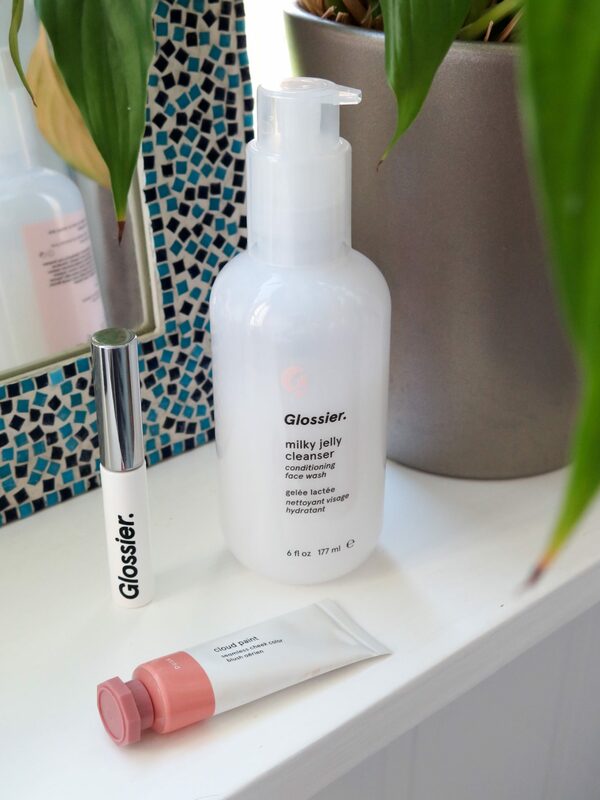 You couldn’t scroll down your timeline without seeing some Glossier love at least once a day. However, I know my skincare routine and I know which make up works for me, so I didn’t buy into the hype despite my admiration. However, when Glossier’s PR said they’d be visiting Scotland and I was unable to attend, she kindly sent me over some products to try out. In my gift bag I found the Milky Jelly Cleanser, a couple of Cloud Paints, a Boy Brow, and Haloscope. Thanks to social media, I was fully aware of the kudos Boy Brow was gaining across the beauty industry so it was one of the first products I tried. I took it on holiday to Cyprus and it was absolutely perfect for keeping my brows in place, in naturally brushed way. Personally, there’s nothing worse than too much make up on a hot holiday, so a light product to keep my brows in place was ideal. I’ve been using it since I got home and still love it as much – though I admit to topping up with Charlotte Tilbury’s Legendary Brows which does a similar job but with a tint – helpful for defining my fairer brow hairs. Boy Brow does come in a few tints too though, so I might try that next as it’s cheaper than Charlotte Tilbury’s. Would I buy it? Yes. 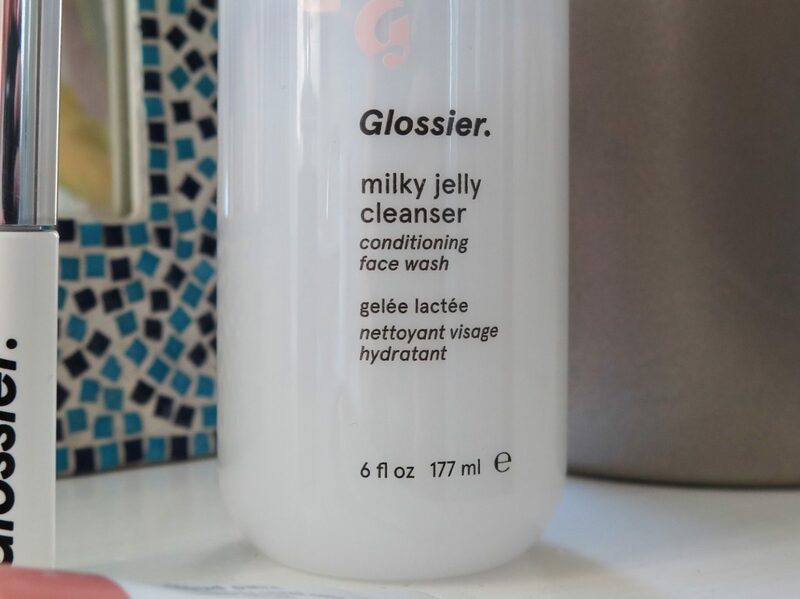 The Milky Jelly Cleanser is another new favourite. I must confess: when I first used it I was slightly taken aback at the antique-rose scent, which made me think of my Granny’s dressing table and make up. It took a few weeks to get over the old fashioned fragrance. It’s not fresh – which is what I’d usually expect from a cleanser – but now that I’m used to it, I’ve grown to kind of like it, in a weird way. Perhaps something to do with the fact that the product itself is really nice – it’s gentle, kind and feels nourishing. It’s also really easy to use – I’m into no-fuss when it comes to cleansing, and I simply use one pump of this, massage it into my skin (and even over my eye make-up) and wash off with warm water. It’s brilliant for removing make-up, without drying out my skin. Would I buy it? Yes. The final two products that were sent to me were the Cloud Paint (liquid blusher) and the Haloscope (highlighter). I’m going to leave the highlighter out of this post as I haven’t used it regularly enough to give a comprehensive review. However, the Cloud Paint I’ve used a lot, in the hope that it’ll get better… I actually adore this little tube of ‘paint’ for your cheeks (I’m a fan of a dewy, youthful finish), but I’ve been really disappointed with its lasting power. It provides a great pigment immediately on the skin, but within a couple of hours it’s lost on me. I wouldn’t feel confident re-applying this very wet and rather runny product later in the day because a) I’d probably dribble it onto my clothes and as I said, the pigment is excellent, and b) I feel like it needs the moisture of my day cream to apply seamlessly to my skin, so I’d have to apply moisturiser again which then might start to drag the rest of my face make-up around. Oh, the drama. Would I buy it? No, based on these reasons. I hope this review has been helpful for anyone who has been lusting over Glossier but hasn’t yet purchased anything. Let me know in the comments if you have any questions. And if you have tried it, tell me, which is your favourite Glossier product? Thanks to the Glossier team for sending me these samples. 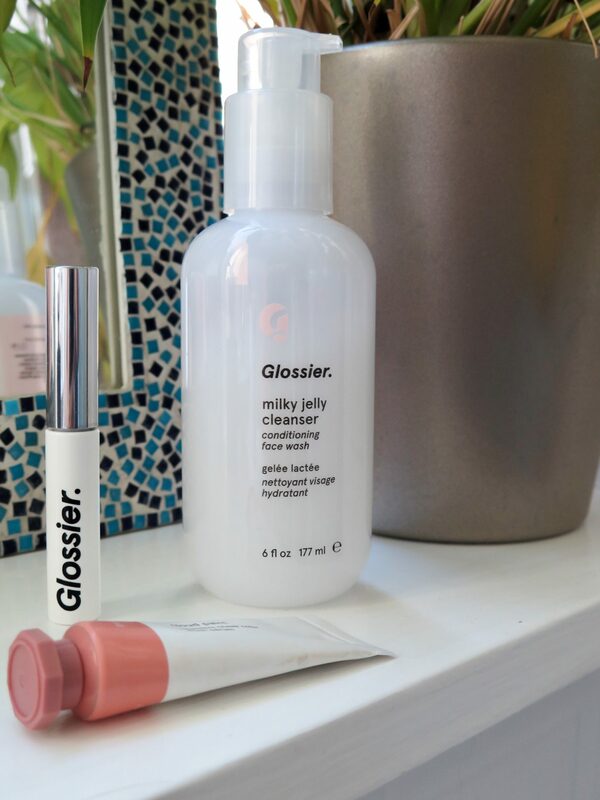 I had never heard of Glossier but might try the cleanser.